What a little honey... they don’t make them like this anymore! Mabel has been round a bit and can tell a few stories! Recently updated and beautifully furnished she is ready to start her next era – come and be part of that! She has 2 double bedrooms, 1 bathroom and 2 toilets. Mabel may look small but she’s actually surprisingly roomy and airy. You’ll delight in the stunning views from every window, and she’s literally just 7 paces from back door to water’s edge! This charming cottage provides you with a very comfortable and stylish base to explore our wonderful area. No matter what the weather you’ll luxuriate in Mabel’s ambience and space. At almost 150 years old she is well versed at having people stay and it shows. 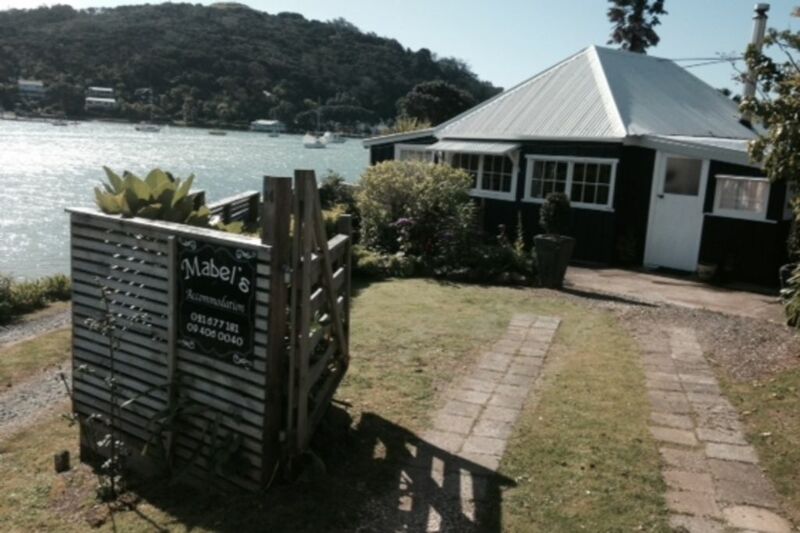 Mabel’s of Mill Bay is definitely worth a visit. Rates are for 2 people and include linen and towels. Extra people are charged at $20 per person per night. If you stay includes a public holiday then please ask for a quote as rates vary. By late afternoon I couldn't wait to get back to Mabel's each day after tripping around the area. It provides a ambience that requires you to relax and unwind. There is loads to do during the day, stunning deserted beaches and fantastic walks. One day I just stayed home and read and took a stroll down to Mangonui. I highly recommend Mabel's to anyone who wants to breath again perhaps after a busy time on their lives. An amazingly characterful property in an unbelievable location. Couldn't have picked a better place to stay. Would happily return. Highly recommended !! It was a five in our eyes but bathroom facilities would be a bit difficult for those who are tall or are not very mobile due to height of bath/shower. Absolutely loved staying at Mabels! Absolutely loved staying at Mabels! Waking up to the lapping of water outside, watching the kingfishers down at the waterfront, from the deck....bliss.... Gorgeous cottage steeped in history, clean, beautifully styled and everything we needed for a relaxing and fabulous stay. Thankyou Richard! We will be back! Property is both charming and well located right on the harbour. Property is both charming and well located right on the harbour. It can not be better.